WEBCON BPS works with many different types of barcode printers. Their common trait is that they suport EPL2 and ZPL languages. We can recommend ZDesigner (Zebra) printers. Plug the printer into the computer and power supply. Turn on the printer. 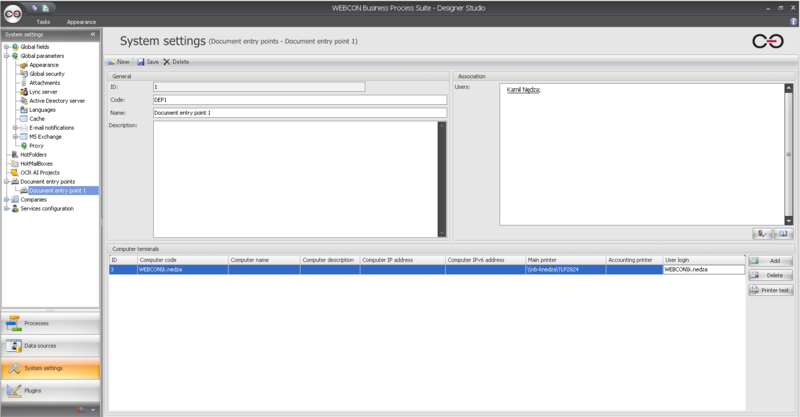 In the Control panel, go to Devices and printers. Right click the printer and select Printer properties. The printer is now ready! By connecting the printer with a specific station via IP address. Everyone using said computer will be allowed to print stuff. 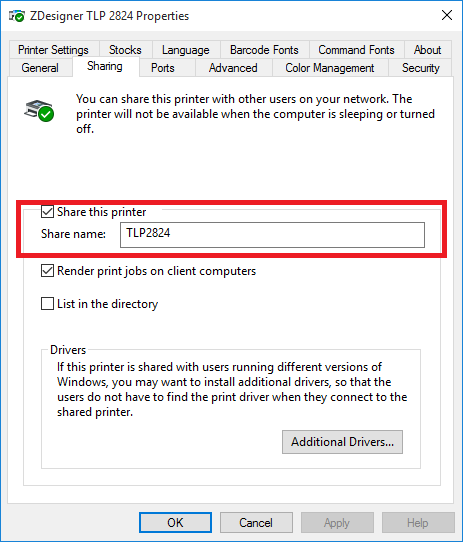 By connecting the printer with a specific domain user login. The specified user(s) will be able to print from any computer in the network. 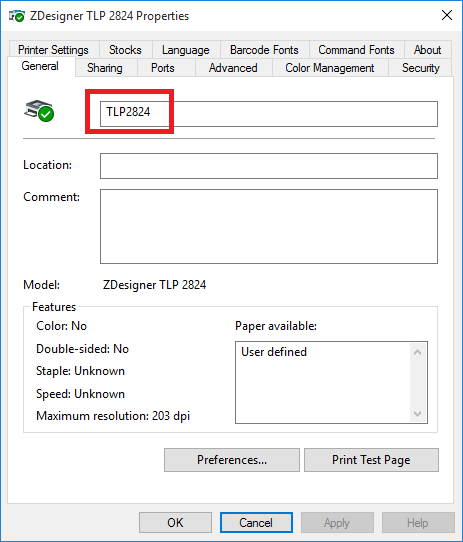 The computer with the IP address of 10.222.220.82 will be able to print using the configured printer, regardless of who is currently logged in on it. 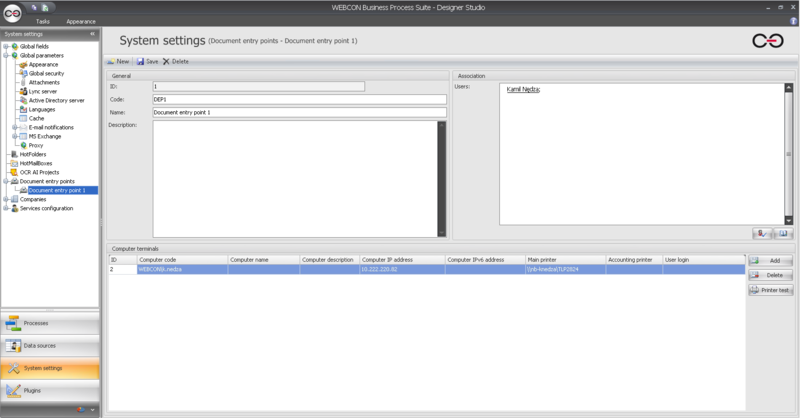 In this case, only the user WEBCON\k.nedza will be able to print anything with the printer, regardless of which machine of the network he/she is currently logged in on. Every additional user will need their own separate entry in the Computer terminals section. Sometimes, even though the printer was correctly installed, some printing errors will occur. For example: a fragment of the barcode may be cut off. One of the first things to try in such a case is to update the general Windows drivers. 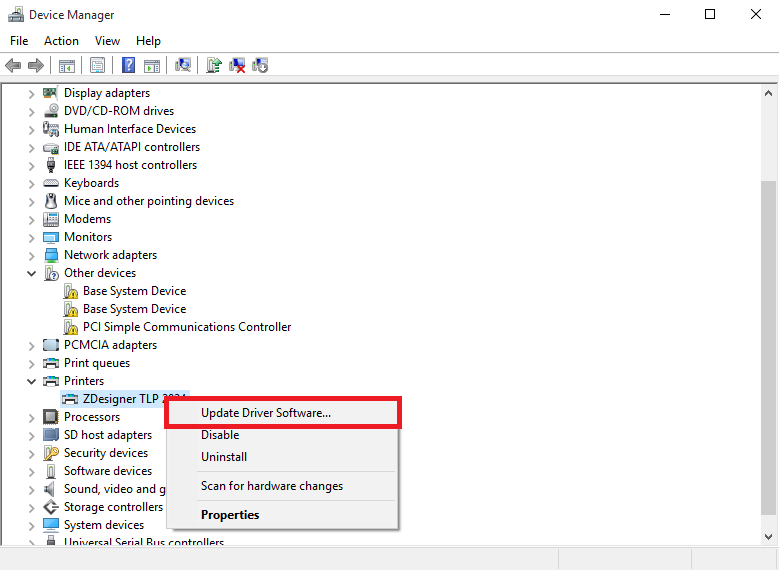 Go to the Device manager and Update Driver Software. 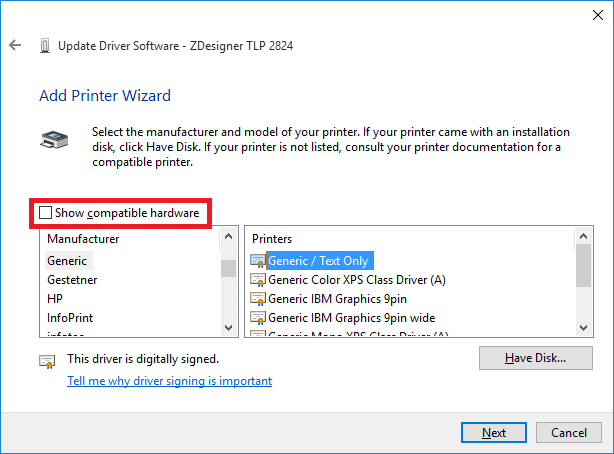 Next, select: Browse my computer for driver software and then select: Let me pick from a list of device drivers on my computer. When the window with available drivers appears, select: Generic -> Generic / Text only and confirm.